Migraine or Headaches are common. They could be caused by hunger, stress, sinusitis or even sleeping in the wrong position. Usually, they aren’t a cause for concern. But there are some people who suffer from extremely painful headaches. If you are one such person, we have some good news. 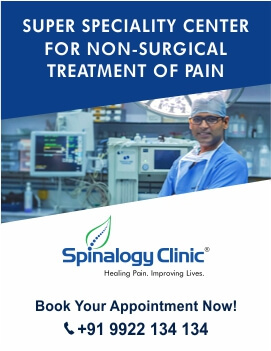 Headaches are treatable and we at Spinalogy Clinic, Pune can help you. But how would you know when a headache requires treatment? Here’s a bit about primary headache patterns and how we can help you with them.